Arne Vodder studied in Copenhagen under his friend and mentor, the legendary Danish designer Finn Juhl. The pair later worked together as they went on to establish themselves as the pre-eminent Scandinavian designers of the mid-century period. A Vodder piece with its soft modernism and exacting proportions is instantly recognizable, it is a piece to be treasured and displayed forever. Arne Vodder applied his passion for timeless beauty into the everyday. To live with a Vodder piece is true Scandinavian Luxury. The latest edition to Great Dane's Vodder collection is the sideboard AV11 featuring the instantly recognisable, organic drawers in the centre and meticulous circular detailing on sliding doors. 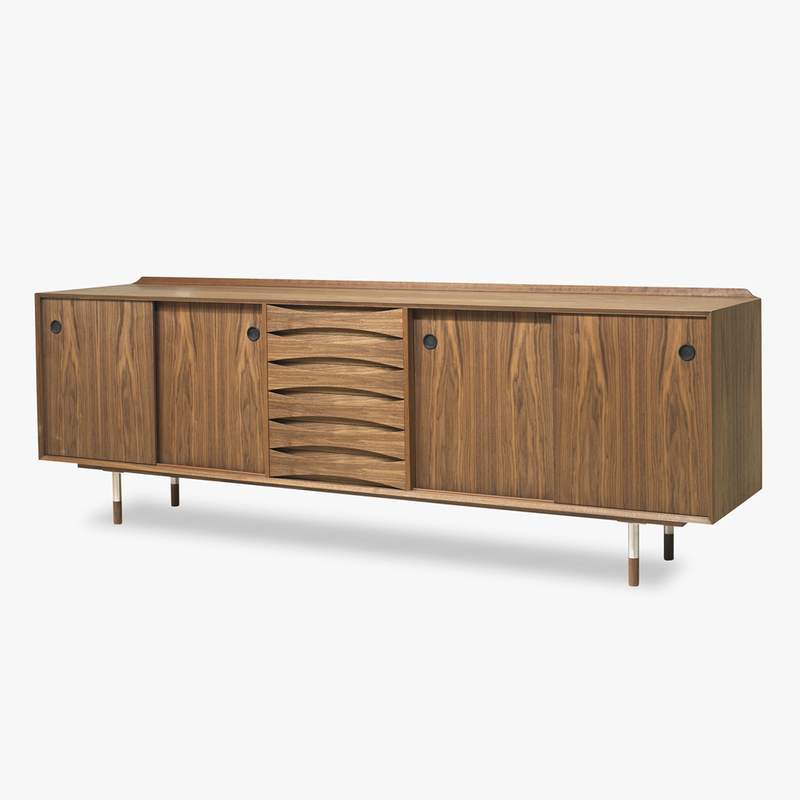 Price reflects 2.2m sideboard.